The Liberal government is expected to introduce legislation tomorrow that will further tighten firearms laws to reduce gun violence — a move welcomed by gun control advocates but feared by lawful owners who say new restrictions will do little to prevent crime. The Liberal government is expected to introduce legislation tomorrow that will further tighten firearms laws to reduce gun violence — a move welcomed by gun control advocates but opposed by lawful owners who say new restrictions will do little to prevent crime. In the last election, the Liberals promised the national long-gun registry — a program scrapped by the former Harper government — wouldn't be revived. They also pledged "pragmatic action to make it harder for criminals to get, and use, handguns and assault weapons." Handguns have always been classified as "restricted" (or, in some cases, "prohibited") firearms in Canada and thus were largely outside the purview of the long-gun registry, which covered non-restricted firearms like rifles or shotguns. Among the new measures proposed in the Liberal platform is a requirement that firearms vendors "keep records of all firearms inventory and sales" — information that could then be used by police investigating firearms trafficking and other gun crimes. 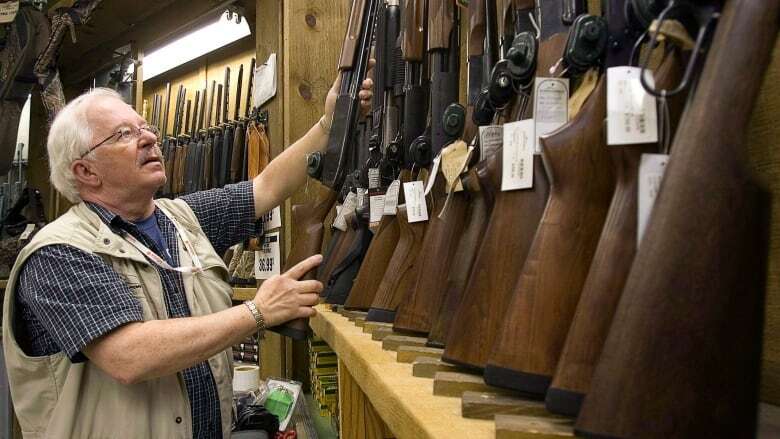 The former Harper government altered federal regulations so that retailers could not be forced to collect and keep data on long-gun sales. Public Safety Minister Ralph Goodale suggested late last week that a new record-keeping system would be vendor-based and free of RCMP control. "The government does not have control over the records. That's the key point," he said when asked about the campaign promise. "This is simply the best business practice of companies that are engaged in the retail trade. It's the sort of thing that the major firms already do, Cabela's, Canadian Tire, the major sporting good companies." He said this sort of private information would then only be accessible to police if they obtain a warrant. Gun control advocates have said this is one way to prevent licensed firearms owners from legally procuring guns — without any numerical limit, under current laws — and selling them to criminals. Police in Toronto have noted a significant uptick in domestic handgun trafficking in recent years. Wendy Cukier, a professor at Ryerson University and the president of the Coalition for Gun Control, said the new Liberal legislation should at least restore a retailer-based system — first implemented in 1977, but later disbanded — that tracks all gun sales in this country. "It's ironic Canadians are so quick to point their fingers at the U.S. and talk about the NRA ... Right now, the U.S. has better control over gun sales then we do," Cukier said in an interview with CBC News. In the United States — where the gun control debate intensified recently after a series of mass shootings — federal law requires that records be kept on every gun sale through federally licensed firearms dealers. The Bureau of Alcohol, Tobacco, Firearms and Explosives (ATF) can then conduct an inspection each year, ensuring the records are complete and the inventory is correct. Police can then access those records for a criminal investigation. "It's a huge gap because [in Canada] it means someone with a license can buy as many guns as they want and there's no record kept even in the store," Cukier said. Many retailers do track sales, though it has not been a requirement under federal law since changes were introduced in 2012. Cukier said that when Canadian recording laws were more thorough, Montreal police were able to identify the man behind the 1989 Polytechnique massacre by checking local sales of the Ruger Mini-14, his non-restricted firearm of choice. "There's no right in Canada to have guns and keep it a secret, or sell guns and keep it a secret. It's preposterous to me that some gun owners see that as an infringement," she said. "It's a question of keeping dealers honest and it's a question of being able to trace guns." At least one firearms expert said such a records system could be unnecessarily onerous and costly to maintain — a registry by another name — and would do little to stop guns from being used in crimes. "I think a lot of people are rightfully sceptical as to what this will look like, and my real scepticism is that this is not crime control. It's crime control theatre," Solomon Friedman, a defence lawyer and gun rights expert based in Ottawa, said in an interview with CBC News. "It allows the government to appear to be doing something about gun crime when really it's only that — it's only an appearance." He pointed out that while the Harper-era changes removed registry requirements for non-restricted firearms — like shotguns and rifles — there was no change to the law requiring that all restricted firearms, like handguns, be registered with police. Friedman said many crime guns are handguns illegally obtained from smugglers running weapons across the Canada-U.S. border. "Legal gun owners buying firearms and passing them on ... that's not the primary source of it, or even a significant source in my experience," he said. "The vast majority of gun crime comes from people who would never qualify to get a license in the first place." Anyone looking to legally procure a firearm must first complete a two-day training course that includes both practical and theoretical components, instruction that was made mandatory by the former Harper government, he said. The person must then wait up to 28 days before they can be cleared for a license. In practice, the waiting period is often considerably longer. The RCMP completes a background check — which takes into account criminal, mental health, addiction and domestic violence records — before authorizing a person for a Possession and Acquisition Licence (PAL). Once a licence has been issued, background checks then run through an ongoing process called "continuous eligibility," which includes daily searches of police and court databases to see if a license holder may have become a public-safety risk. It's also a criminal offence to sell a firearm to anyone who is not licensed by the RCMP's firearms program. "If you want to get serious about the type of gun crime that is tearing up communities, looking at the guy who has taken the course and applied for his license and complies with all the laws, is absolutely misguided," said Friedman. "It's always the law-abiding gun owner that becomes the whipping boy." But Cukier said it's not unreasonable for governments to regulate the legal use of dangerous goods in order to prevent misuse, especially with both gun crimes and gang activity on the rise. "It's like saying requiring drivers to get a license is somehow punishment," she said. "Every illegal gun begins as a legal gun, and you need adequate controls over the sale of legal guns in order to prevent their diversion to illegal markets."